Smile. It's Saturday, and it's time to celebrate (your reason to party goes here). You're not going club-hopping, though. Instead, you're pre-gaming at a friend's house (aka having a drink or two while you decide who will Uber this time) and then heading to that hot new restaurant with great DJ and craft cocktails. 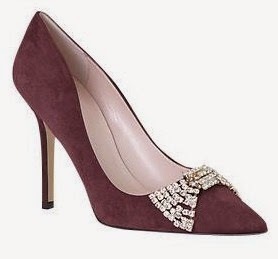 Show up in these wine-hued suede "Lissie" Pumps by Kate Spade New York (Available at Piperlime), and inspire immediate heel envy. The color and texture say you're ready for fall. The pointed toes and slender heels are versatile and feminine. And the sparkling rhinestone bows give them just the right amount of glitz. The best thing is that these work just as well with jeans as they do with a skirt or trousers. 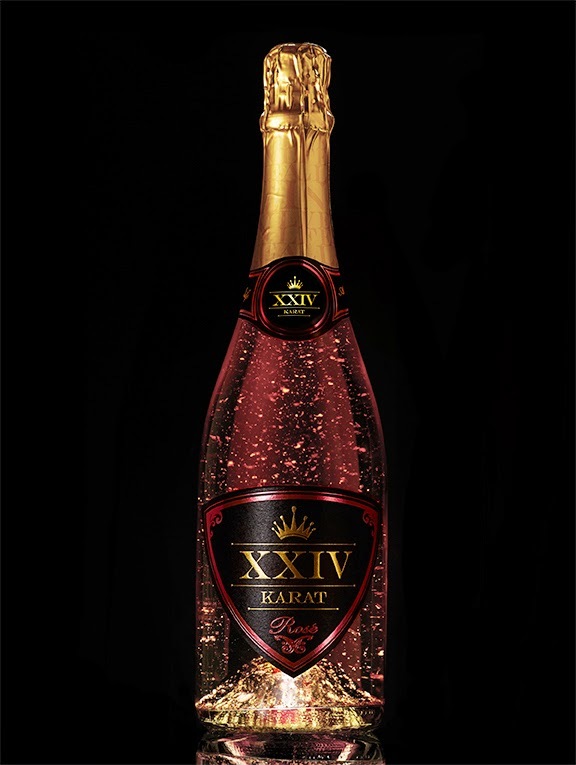 Never one to arrive at a friend's house empty-handed, bring a bottle of this recently-released XXIV Karat Rosé. Infused with indulgent 24-karat gold flakes and illuminated by an LED light in the bottom of the bottle, it's the perfect way to start a festive night. Warning: posting a "Cheers!" shot on Instagram with this bottle in-hand and flecks of gold in your glass may attract frenemies. Take selfies with caution.